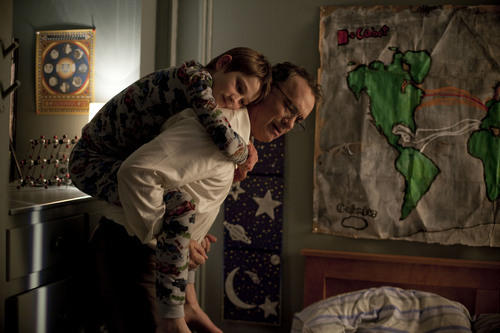 'Extremely Loud and Incredibly Close' Promotional Pictures. Movie from 2011. HD Wallpaper and background images in the Tom Hanks club tagged: tom hanks 'extremely loud and incredibly close' movie 2011 promotional pictures. This Tom Hanks photo might contain drawing room, mother hubbard, muumuu, sign, poster, text, and chalkboard.